The City of Madrid wants to build two 36-story skyscrapers as a part of sprawling park and mixed-use development on the site of Atlético Madrid’s football stadium. Plans for the riverfront site, which could be approved by the city by as early as next week, include eight smaller buildings with commercial and residential space, as well as more than 150,000 square metres of park and public space, El Pais reports. 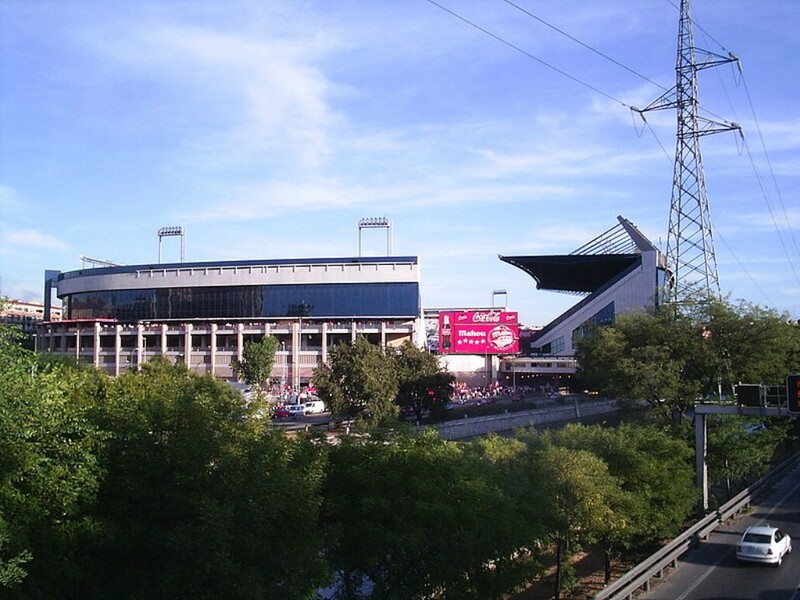 Atletico is leaving Vicente Calderón Stadium in 2016 for a new home, the La Peineta stadium in the San Blas district. Previous zoning restrictions prohibited any buildings taller than three stories in the area, a restriction which was eventually upheld by the Madrid Superior Court of Justice in 2012. But new amendments introduced in 2013 opened the door to the skyscraper project, El Pais reports. At 36 stories the buildings would be the sixth tallest buildings in the city, according to data tracked by the Council on Tall Buildings and Urban Habitat. The land is 55 per cent controlled by the municipality, with 30 per cent owned by the former Mahou beer factory and 15 per cent by the soccer club, El Pais reports. Plans for the development call for 48,054 square metres to be covered by buildings and the remaining 156,164 square meters will be reserved for green areas and public services on the Madrid river. Once the stadium is demolished, the city will also bury the last section of the M-30 beltway that still runs above ground, the paper reports. Two new boulevards will be built to connect the site to the city. To address concerns that the redevelopment may be overly commercialized, the city has promised that no major chains will be approved for the area, only “small and medium businesses.” Construction could begin next year, if there are no legal challenges, the paper reports.